MUNICH, April 20, 2018 – Brainlab announced today the implementation of a software solution that can achieve better radiation dose conformity around brain tumors, resulting from a close strategic collaboration with Elekta. Brainlab Elements take advantage of the specific properties of Elekta’s Agility™ multileaf collimator and compensate for the width of selected leaves, enabling the radiation beam to more accurately conform to the tumor’s shape, thereby minimizing dose to organs at risk. 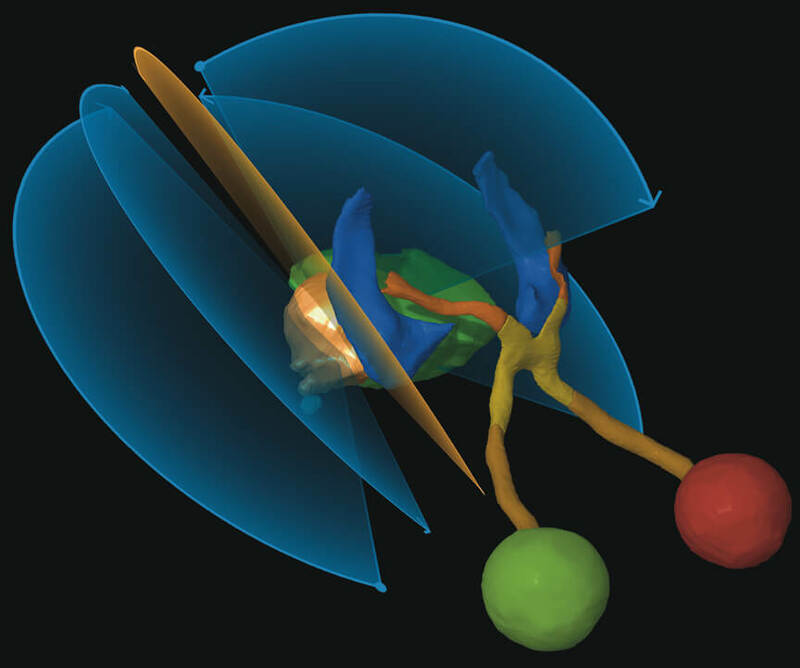 A new planning algorithm in Brainlab Elements cranial radiosurgery software supports virtual leaf width capability with Agility on the Versa HD™ linear accelerator. Through the dynamic manipulation of the Y-Jaws, the algorithm partially blocks the collimator leaves along the vertical edge of a tumor target, which can reduce the collimator leaf down to 1 mm across the full treatment field of view for enhanced conformity. Elekta also has an ongoing interoperability program with Brainlab that will ensure integration of ExacTrac 6.x as well as future versions. To find out more about Versa HD and ExacTrac, visit Elekta booth #300 at ESTRO 37. The new enhanced capability supporting VersaHD builds on the success of existing collaborations between Elekta and Brainlab, like the jointly marketed Leksell Vantage Stereotactic System with Elements Stereotaxy, as well as the integration of Versa HD and Brainlab ExacTrac® patient positioning and monitoring technology. To learn more or to gain a hands-on demonstration, visit Brainlab booth #1600 at ESTRO 37.